Home - National Independent Concessionaires Association, Inc. 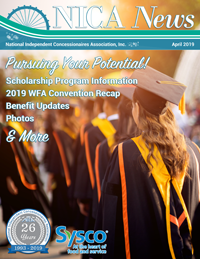 The National Independent Concessionaires Association is dedicated to strengthening relationships with the Fair, Festival, and Special Events Industries through effective communication, benefits, education, leadership, and solutions. Our growing membership includes over 1100 mobile food and retail Concessionaires, Fairs, Festivals, and Associate Members in the Industry-related companies in the United States and Canada. NICA's large amount of benefits include discounts on variety of items including food, beverages, supplies, travel, and lodging, so you can make the most of your season. NICA participates in a majority of State Fair annual conventions along with the WFA Convention and NICA Sysco Marketplace in January, NICA Business Expo and Fare Foods Food Show in February, and IAFE Convention in November. Apply to the 2019 NICA Scholarship Program! The deadline is June 1, 2019. Applicants will be contacted with results in the month of July, and winners will be announced in August's issue of NICA News. Online applications are preferred, but printed applications are available upon request. 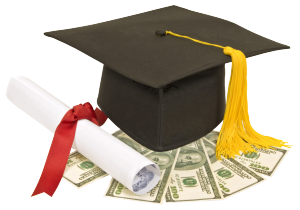 Contact scholarship@nicainc.org with all inquiries. The discount and savings programs that NICA has negotiated with our premiere partners are just another way we are building relationships throughout this industry in order to bring much needed and REAL benefits to our members. See the 2018 Benefit Booklet for more details. As a NICA Member, you have 24/7 access to your online Membership Directory. View our full benefits list and see how you can save more than the cost of a membership. Our sister organizations include IAFE, WFA, IAAPA, IISA, OABA, and CAFE. View our event calendar to see upcoming deadlines, events, and shows for NICA. J and J Concessions Inc.